We have started the year with a focus on nutritional health through the introduction of the Food Dudes program which encourages children to eat more fruit and vegetables for their lunches every day. There will also be an emphasis on physical health as Project Spraoi is now underway. Members from CIT will be giving their time to get this program up and running over the next few months. 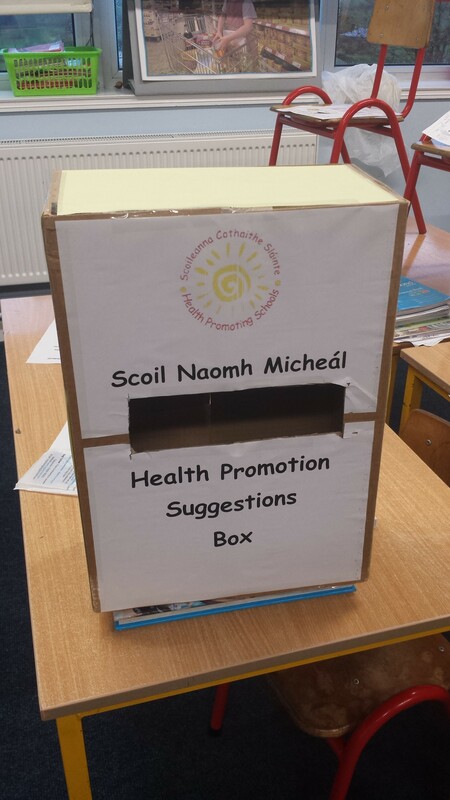 A suggestions box will be available inside the main door of the school. We would welcome any ideas you may have to help us further promote healthy living in our school and locality.